D-marc has concentrated on designing, manufacturing and marketing performance demarcation barriers that give specifiers the confidence of knowing the system has been tested to withstand some of the harshest weather conditions experienced. The performance has been coupled with sustainability, ease of use and practical barrier installation considerations to ensure a product of outstanding quality that is fit for purpose and looks good. The D-marc™105 rooftop demarcation barrier system has been wind tunnel tested to withstand wind speeds of up to 105 mph by the BRE. 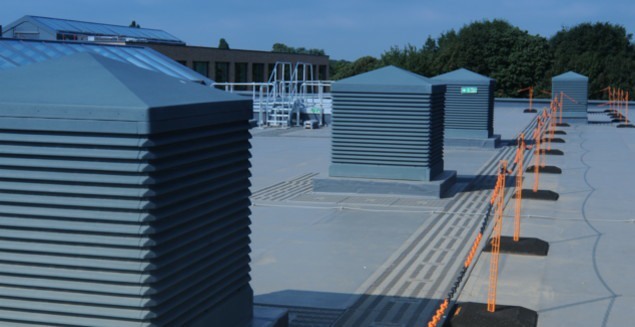 The stability of the system is due to the unique design of its barrier base and upright which eliminates any potential oscillation—a cause of roof surface damage with traditional barrier systems. • The lattice structure ensures the wind circulates around and through the system rather than pushing it over. • Its three connecting pins do not protrude through the base and therefore do not come into contact with the roof structure ensuring it cannot damage the roof even if it begins to oscillate. • It has a non-protruding integral hook incorporated inside the lattice structure which ensures the chain cannot lift off the upright in high winds. • The trapezoid base shape is aerodynamically designed with four pyramidal sloped sides at 30° which, in extensive wind tunnel testing was shown to be the most stable shape. • The underside of the base is sculpted ensuring the weight is distributed to its perimeter, minimizing the effect of wind uplift. 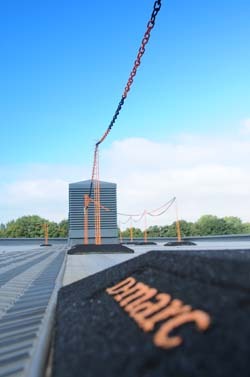 D-marc™105 is classed as a form of Collective Fall Protection in accordance with the HSE’s hierarchy of risk management as set out within the Working at Height Regulations 2005 (WAHR). 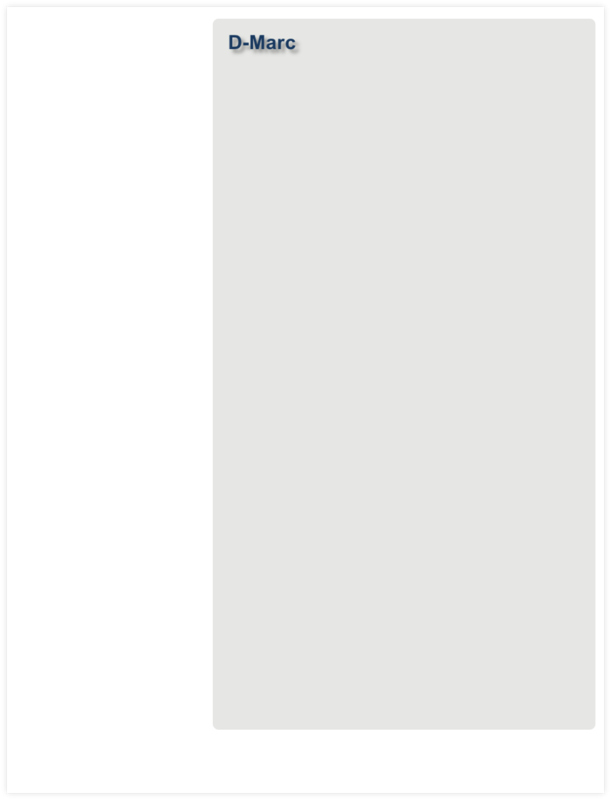 The WAHR 2005 Part 3 illustrates the use of demarcation barriers as an “example of taking other additional suitable and sufficient measures to prevent a fall”. The demarcation barrier system is to be placed a safe distance from the fall hazard (normally 2 m).